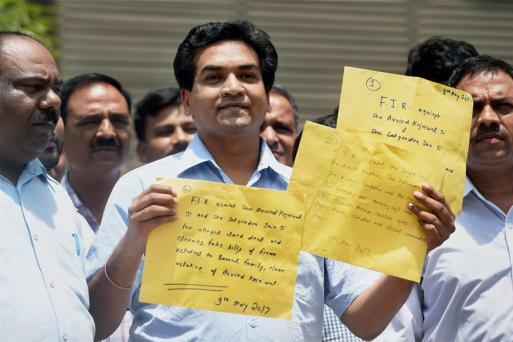 Suspended Aam Aadmi Party leader Kapil Mishra has promised to make more “revelations” on Sunday, questioning the silence of party convener and Delhi Chief Minister Arvind Kejriwal on corruption allegations made by him. Mishra, who was fired as water minister, is on a hunger strike, demanding the details of foreign trips undertaken by AAP leaders. The party, meanwhile, is trying to keep the focus on the EVM “tampering” issue. Sacked Delhi minister Kapil Mishra's mother has written a letter to Chief Minister Arvind Kejriwal, accusing him of spreading lies regarding her son. Kapil Mishra’s mother Annapurna Mishra said I never thought Arvind Kejriwal would behave in such a manner. She asks Arvind Kejriwal to speak up. I am proud of my son and his protest fast, "You worked with Kapil but never understood him, she added. Ankit Bhardwaj, the man who tried to attack sacked Delhi minister Kapil Mishra on Wednesday at his hunger strike site, had quit his job as a chartered accountant to work for the Aam Aadmi Party, police said on Friday. There is an all party meeting with Election Commission on Friday. We will raise our question there about EVM. Our demand is that every EVM machines must be equipped with VVPAT machines, said Somnath Bharti on Thursday. 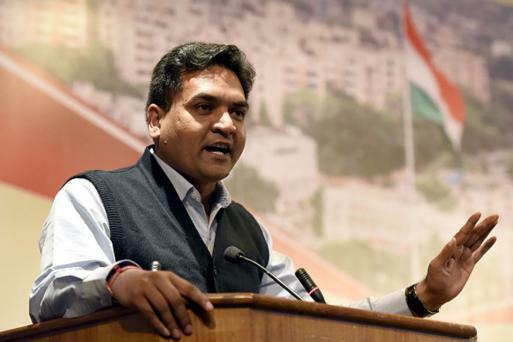 Suspended Aam Aadmi Party (AAP) leader Kapil Mishra on Thursday questioned the "silence" of Chief Minister Arvind Kejriwal on allegations of corruption in the alleged Rs 400 water tanker scam. RECAP | AAP workers on Thursday demonstrated outside the Election Commission headquarters demanding that voter-verifiable paper audit trail (VVPAT)- equipped EVMs be used in future elections. Apart from demanding that VVPAT-equipped EVMs be used, the party plans to approach the Election Commission with the request that votes registered in EVMs and paper trails of 25 percent randomly chosen booths be tallied. RECAP | AAP volunteers shouting slogans like Save Democracy, Vote Chori Band Karo, outside EC office. RECAP | Today is the second day of my satyagaha. I have just asked for few details of foreign trips undertaken by AAP leaders…. A man attacked me yesterday. Police have arrested him and he is an AAP worker. He is also part of the Mohalla Clinic project,” says Kapil Mishra. The suspended AAP leader is scheduled to visit the Anti-Corruption Branch at noon. “I will make more revelations on Sunday,” he adds. 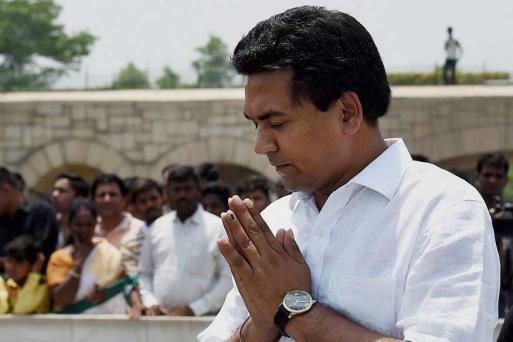 RECAP | Sacked Water Minister Kapil Mishra's "satyagraha" fast to protest corruption in the AAP was on Wednesday marked by high drama as he was slapped by a young man.